Is this too cliche for you guys? Enter New Year (Hello 2016!) and the first post is a smoothie bowl? But that’s how my real life is. Cliche and boring. 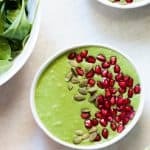 Except for this blow-your-mind, immunity-boosting, antioxidant-rich vegan spinach ginger smoothie bowl. Because New Years’ are for resolutions, whether you keep them or not. I normally don’t. But let’s keep trying. This year Denver and I had a pretty serious what’s-your-resolution talk. While we were stuck in traffic, on our way to a New Year’s Eve Barbecue party. Where we knew we were going to binge eat our way through the barbecue. Eating healthy, and being healthy were top of the list for both of us. Talk about team spirit! Because honestly, we’ve slacked last year. Between running the blog, working full time, managing personal time and life; exercise and being healthy took a serious back seat. Time to shake things up 2016! 1. It’s in a bowl, and you can top it up with lots of fruits, seeds, nuts and all sorts of good, healthy things. 2. 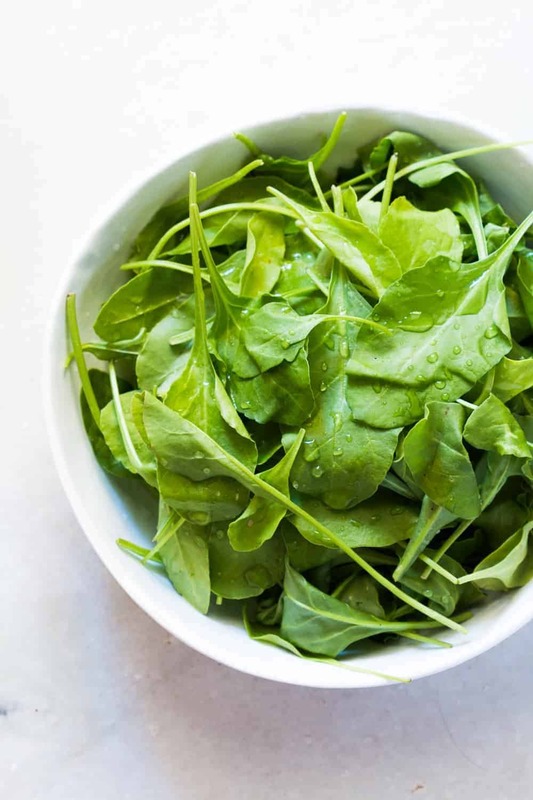 There’s spinach which is full of antioxidants and fiber and iron, but you can’t really taste it, which is purrfect when you don’t want to taste some bitter greens in your breakfast. 3. 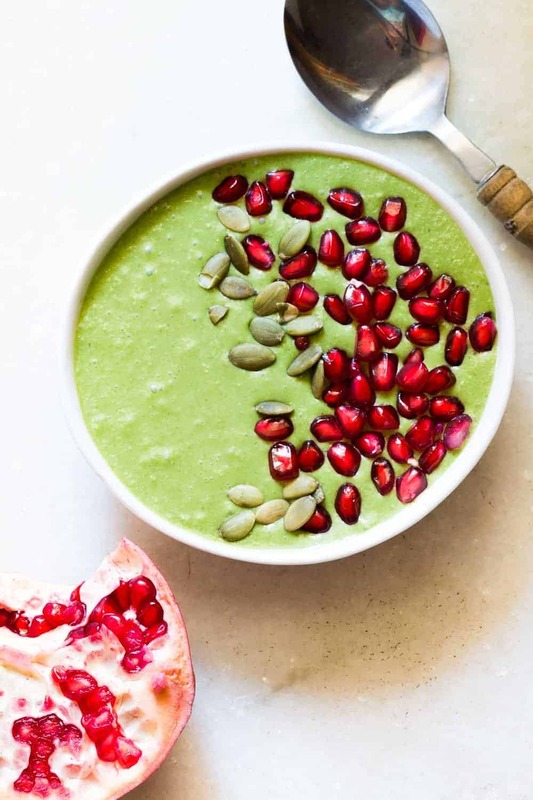 It’s thick and creamy, so you feel like you are eating porridge but what you are really eating is detoxing, immunity boosting green goodness. Also, don’t think that you have to stick to just these ingredients. Anything works, but I like this combination best. Don’t have spinach? Try lettuce or kale instead. No bananas? Skip them and add another fruit like peaches, strawberries, plums or whatever’s in your fridge. No oats? Try chia seeds, cornflakes or muesli. Don’t like coconut milk? Don’t decide without trying, but add yogurt or milk instead. No ginger? That’s not optional. Because that ginger really rocks this smoothie. So Ginger = MUST ADD. If you try this out, you need to tell me. Because I need to know if we are in this together? This smoothie loving, being healthy resolution for 2016. Drop me a comment or get in touch with me on whatever platform you love the most – Facebook,Twitter or Instagram. Let’s keep each other motivated this year! 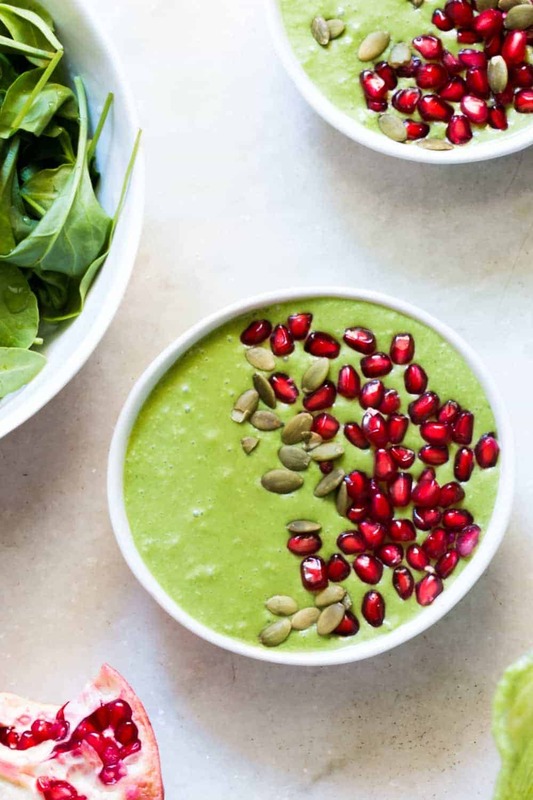 A tasty, immunity-boosting recipe for vegan spinach ginger green smoothie bowl. 340 calories per serving. Blend everything (spinach, ginger, banana, oats, maple syrup and coconut milk) along with a few cubes of ice (5-6) in a blender till smooth. Chill for half an hour in the refrigerator if you don’t have ice because smoothie bowls are fantastic when cold. Serve in bowls topped with your favorite fruits, seeds and nuts. Consume within the hour. Perfect smoothie bowl!! Looks so nutritious and filling! Wow Donna, I wish I could take that on! I don’t think anything this bright and pretty could be cliche!! 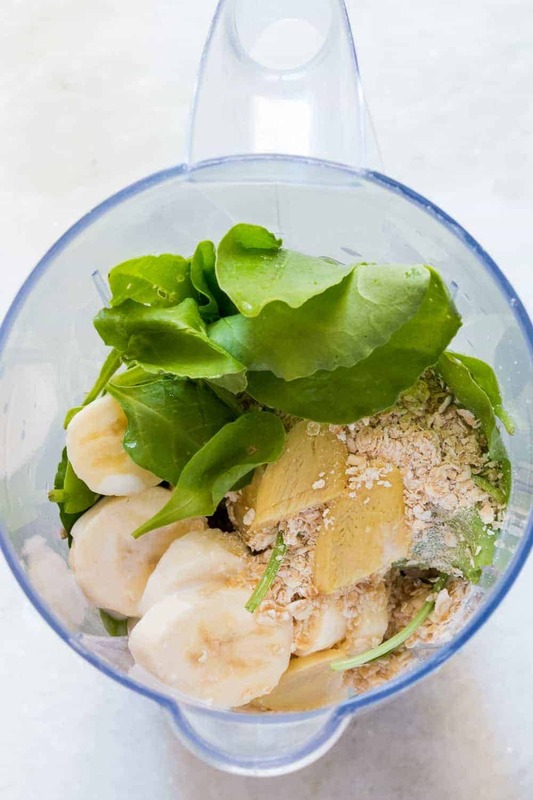 We are loving smoothies over here lately and this one looks delicious. Perfect! I have committed to having a green smoothie every day in January, so love ideas for more 🙂 This one looks delicious! Sara I’m a member of Food Blogger Pro and they have a nutrition label generator available to members. It’s really handy! This must be the year of the smoothie. I’m going to have to get on the bandwagon. Thank you for sharing. Ooohhh nom nom! I’m all about smoothies, especially any smoothie with ginger and coconut milk. Those are two of the best ways to add tons of flavor to healthy green-based concoctions. Great recipe, can’t wait to try! Ok! You have me! I’m another back slid exerciser. Time to get started again and eat healthy! This smoothie bowl looks like a perfect way to get started on a better fitness track! I’m ON IT!! Wow there are so many great flavor combinations here, this smoothie bowl looks delicious and healthy! By the way, what nutrition label generator do you use? I find that very helpful. Thanks! We love all the ingredients in this healthy and colorful smoothie; thanks so much for sharing! This looks so fresh and detoxifying. Much need after the holidays! In the new year I’m trying to make smoothies 3 mornings a week. This one will have to make it into my rotation. Here’s to hoping I stick with it!